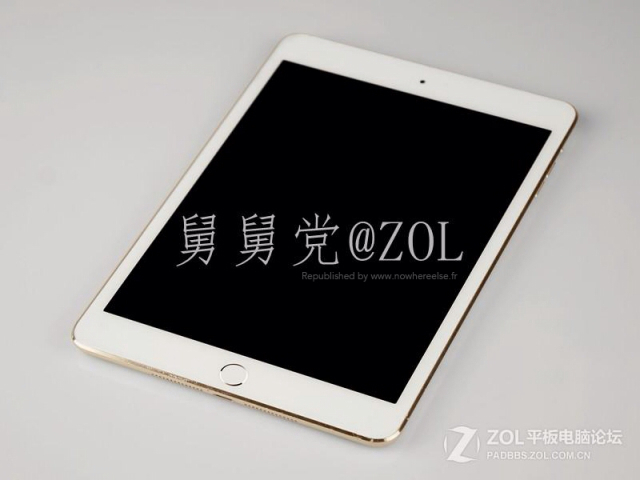 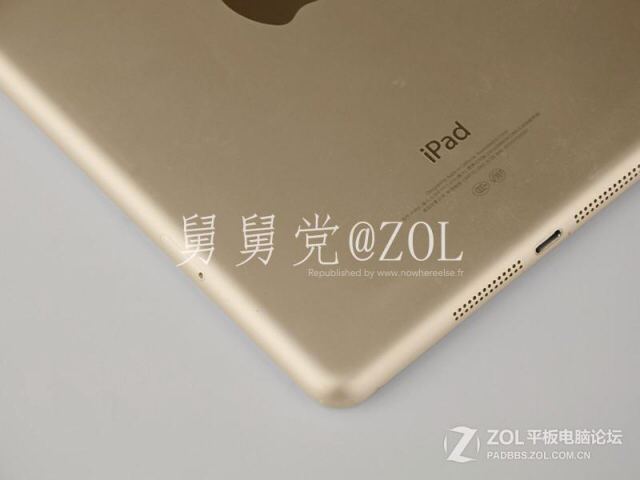 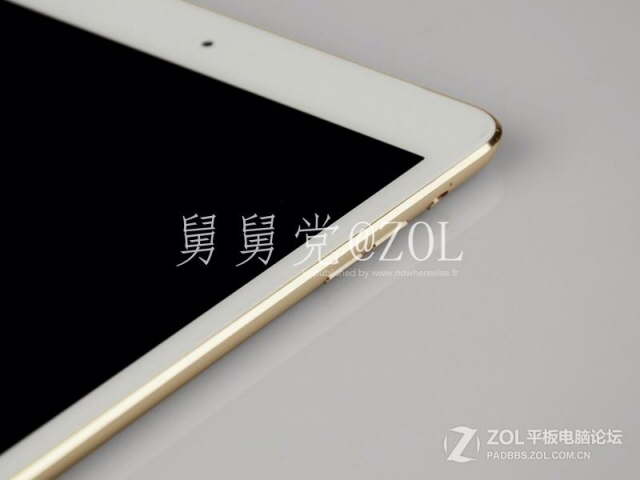 Alleged photos of the iPad Mini in gold with a Touch ID fingerprint sensor have again leaked online, reports Nowhereelse. 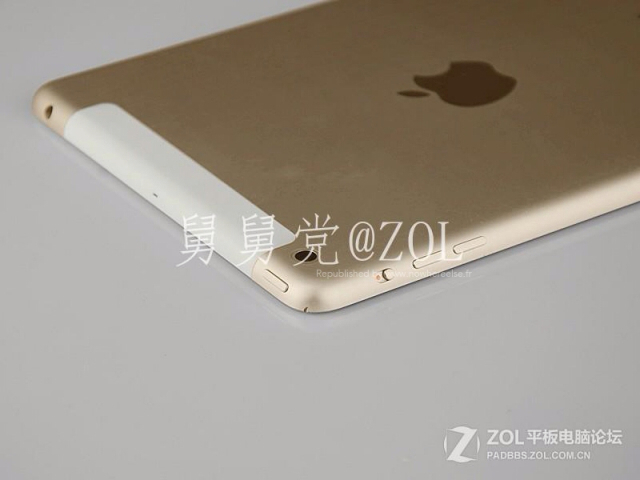 The authenticity of these photos is unclear. 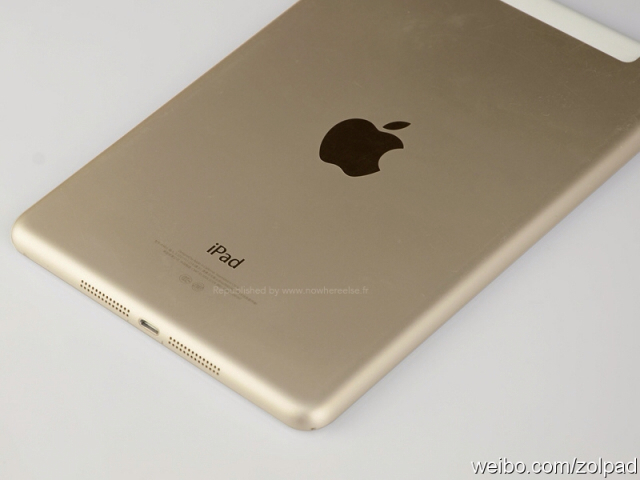 Analyst Ming-Chi Kuo recently predicted that Apple would not release a gold or Touch ID iPad on October 22nd. 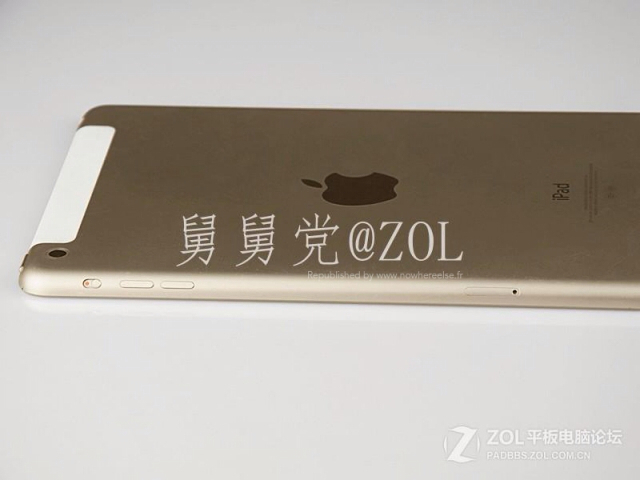 "Fingerprint sensor and gold casing production capacity first allocated to iPhone 5s on tightness". 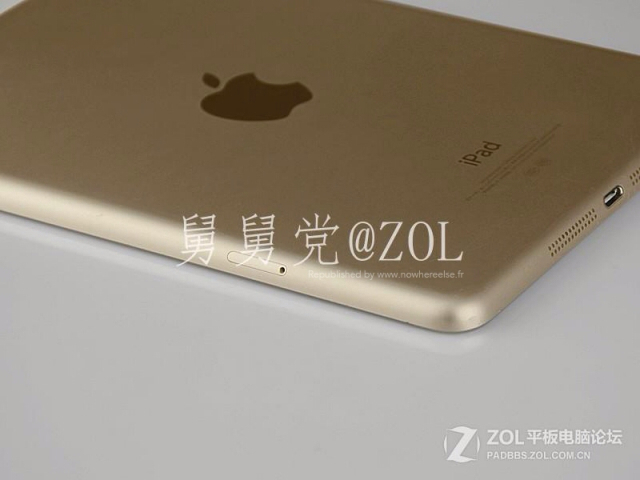 Despite Kuo's prediction, there have been leaks of a gold iPad from other sources like this one. 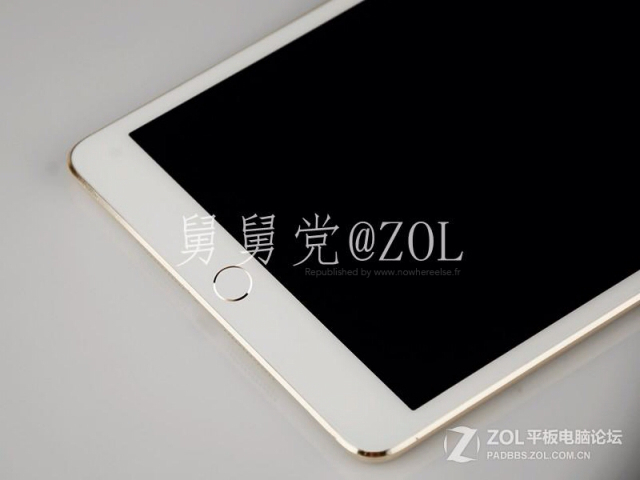 Apple will unveil its new iPad tomorrow.